If you are looking for truly unique window treatments, browse our collection of statement-making window sheers and shadings. These versatile window treatments provide the perfect combination of form and function and they are available in a wide array of designs. Our sheer shades and blinds are highly customizable and they will bring beauty and innovation to your home. We carry a variety of unique window shadings which feature adjustable horizontal fabric vanes linked between two sheer fabric panels. With our window shadings, you basically get the functionality of horizontal window blinds, but with added privacy and sophistication. Our beautiful privacy window sheers feature vertical window vanes made of elegant drapery-like fabrics. These window sheers have a softer and more refined appearance than standard vertical blinds, and they are sure to add character to any home. We also carry a selection of honeycomb shades in a range of different opacities. 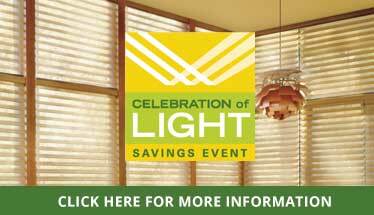 From sheer to translucent honeycomb blinds—we have options that cater to a variety of different light control needs. Window sheers and shadings are particularly known for their superior light control. The sheer fabrics diffuse any harsh light that enters your home, and spread it evenly throughout the room. These innovative window treatments allow you to utilize natural light without having to deal with glare and harsh UV rays. Our sheer blinds and shades can also provide noise reduction, which will help to create a more pleasant and relaxing atmosphere in your home. At Creative Window Coverings, we have so many beautiful window treatments for you to choose from. Browse our collection online or visit our store in Oceanside, NY to see all our great window sheers and shadings, along with so much more.